Rush Limbaugh is back with more hypocrisy– now he’s saying this country shouldn’t be talking about slavery or even have white guilt, because white people ended slavery! But…who started slavery in the U.S.? 16 yr old wins almost $3 million in lottery and spends $380k on cocaine! “British lottery winner Callie Rogers says despite having spent all but a few thousand of her winnings, she is happier today than she ever was as a millionaire. Rogers was only 16 and earning £3.60 ($5.50) an hour when she won a National Lottery jackpot worth £1,875,000 (roughly $2,846,812) in 2003, according to the Telegraph. At the time, she vowed to behave responsibly. It was only a matter of time before people involved with the Trayvon Martin/George Zimmerman case, would begin to cash in…. Well here’s the first one! (SouthernRumble.com) Regardless of your opinion of the verdict, we are all curious as to what the Jurors were thinking during deliberations. Here is an insight of what Juror B37 ( who coincidentally signed a Book Deal today with Martin Literary Management, an agency based in Mercer Island, Washington, the firm’s president, Sharlene Martin, said in a statement on Monday) thought during deliberations. Watch the exclusive AC360 video below. B37 is described as a middle-aged white woman who owns many pets. She worked for a chiropractor for 16 years and has two children – a 24-year-old dog groomer and a 27-year-old who attends the University of Central Florida. Both are girls. Her husband has a concealed weapons permit, and while she used to have one, she let it expire. “Justin Carter, the Texas teen jailed over a sarcastic Facebook comment, is reportedly on suicide watch. 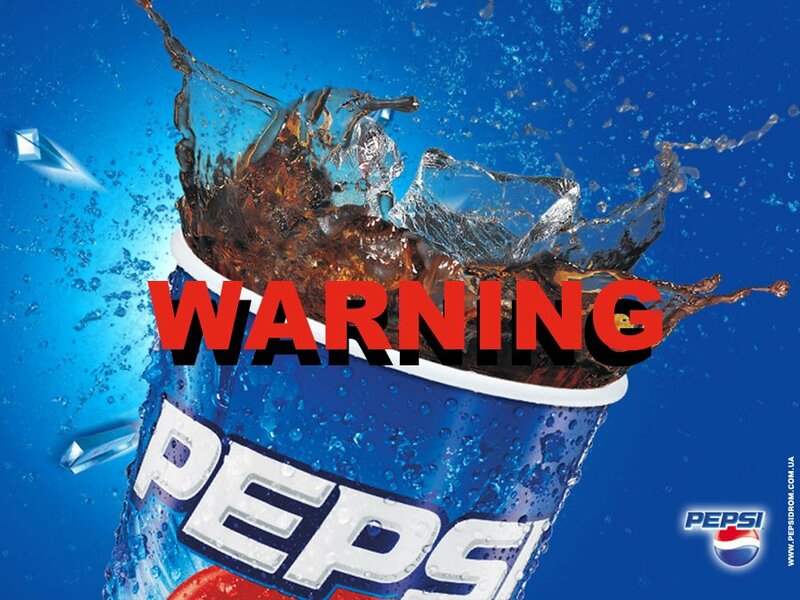 Cancer-causing agent found in Pepsi products….will you still drink it? Do YOU Drink Pepsi? Then You BETTER READ THIS!!!! (CBSNEWS) Watchdog group The Center for Environmental Health has found that the caramel coloring used in Pepsi contains a high level of a probable carcinogen, despite the company’s claims that it has removed the chemical. The Center for Environmental Health said that Pepsi bought from 10 different states contained 4-methylimidazole, or 4-Mel. The compound can form during the cooking process and, as a result, may be found in trace amounts in many foods. In March, PepsiCo Inc. and Coca-Cola Co. both said they would adjust their formulas nationally after California passed a law mandating drinks containing a certain level of carcinogens come with a cancer warning label. Coca-Cola Co. told CBSNews.com at the time that the changes were made for drinks sold in California so they would adhere to the law, but the formula of the beverage would not be affected. The changes were made nationally so the company wouldn’t have to have separate inventory of products for different locations, but not worldwide. “The caramel color in all of our products has been, is and always will be safe,” Coca-Cola Co. spokesperson Ben Sheidler said. The Center for Environmental Health found via testing that while Coke products no longer test positive for the chemical, Pepsi products sold outside of California still do. Meanwhile, the company said the FDA and other regulatory agencies around the world consider Pepsi’s caramel coloring safe. Coca-Cola said it has transitioned to using a modified caramel in U.S. markets beyond California that does not contain Mel-4, so it wouldn’t have to have separate inventory of products for different locations. The Center for Environmental Health said it commissioned Eurofins Analystical laboratory in Metairie, La., to test Coke and Pepsi products from California in May and from across the country in June.